Sweeping up the confetti and tossing away the decorations from last night’s gathering, you’d think I’m talking about your 2015 fishing license. But not so. 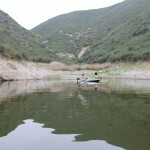 Instead, California anglers can expect to be asked for their “boaters license” following a newly passed California law that goes into effect today. So you don’t have yours? After enduring yet another season with too many boating fatalities, state legislators have decided to take matters into their own hands, and the Governor has signed the new legislation, SB 941. In fact, he did so back in September of 2014! In case you missed it, SB 941, in effect Jan. 1, 2015, requires recreational boaters to pass a sanctioned boating education course and obtain a Vessel Operator Card in order to operate a motorized vessel. Of course, the propellers of government turn slowly, so you won’t be stopped until they set up the program, however, come Jan 1, 2018, there will be a requirement to pass a test in order to obtain a Vessel Operator Card. 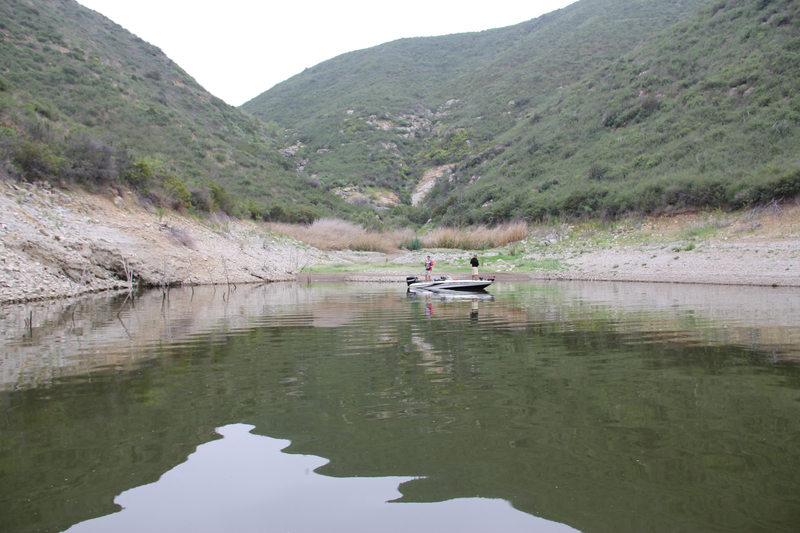 To soften the blow, there will be a period of eight years (so about 2026) when every California boater will be mandated to carry the card. And you can expect that Cal Boating, by then, will have established fees so they can fund a “Vessel Operator Certification Account” to help pay for “developing and implementing a program to educate and certify boaters.” And presumably, to cut down the number of on-the-water fatalities. So no, you’re good this weekend. They won’t be checking for your boater license. This entry was posted on Thursday, January 1st, 2015 at 3:02 am	and is filed under News. You can follow any responses to this entry through the RSS 2.0 feed. You can leave a response, or trackback from your own site. Well, all I can say is, “IT’S ABOUT TIME!” Now maybe those stupid lake lice that cause all the accident problems will finally have to pass a test in order to operate those ski and power boats! I wonder if the new law will apply to jet skiers as well? Those people are out of control! They don’t watch what’s going on around them, and they cut across the bows of other boats. I agree, “It’s about time”, While they’re at it let’s make it where everyone pulling a trailer needs to pass a test. Well, I just don’t think people should be able to run a boat without a safety course of some kind. We need more Sheriff Deputies out there on the lake in the summer ticketing these yayhoos! They’re a danger to themselves and everyone around them! I think it’s about time, too. If you get a ticket on the water it goes on your DMV record as a moving violation, so it makes perfect sense. Having clueless kids running around in motorized vessels with no brakes, and no adult supervision, is a recipe for problem. And anyone towing skiers needs to be made aware of the effects of the wakes they throw up on others, and of the financial consequences of any damage they cause. They are responsible. I don’t think parents would be quite so quick to let their kids take out the family ski boat alone if they knew what their exposure really was. It’s like letting your kids take the family car. The next logical step is for boat insurance companies to restrict coverage of motorized craft to licensed drivers only. I’m not in favor of government controlling everything, but public safety is their job. Another way to look at it is that it is a way of raising funds through fees when direct tax increases are a political no no – gas taxes excepted. I wouldn’t be surprised if it is a fairly simple test taken on line with a credit card/PayPal option. Even if it is a way of raising funds through fees, at least the boaters will have to take some kind of safety test to get their boater’s license, which is what I care more about than fees. DMV should also require proof of safety course completion before issuing tags for the boat and trailer, as well as proof of insurance. These people who run out and buy a boat, hold up the line at the launch ramp while they load their stuff, and people into their boats then get out there and run wide open, creating wakes, and ignoring lake rules, buoys, and every boat around them have GOT to take responsibility! They’re idiots and have no business driving a boat! Another thing I’d wish all lakes would do is to ban drinking of alcoholic beverages in the park and on the lake. If they want to drink and drive their boats, let them launch in the ocean where there is plenty of room! Darlene – I’ve spent many a day on Lake Perris. You have to try to be as stupid as some of those people act – no arguments from me about regulating them. I think Pyramid is the worse for the summer lake lice. I already loss a good friend to a boat accident caused by a wreckless recreational boater. I know not all these boats and pwcs saw the water but back in 2012 total fatalities were 53 to 776,000 registered craft. That’s .000075 %, and even more proof that reducing accidents won’t reduce fatality look at the almost 50 PERCENT REDUCTION IN ACCIDENTS FROM 2003 to 2012 overall accidents went from 960 (in 2003) to 470 in (2012) yet the fatality rate only went from 61 in 2003 to 53 in 2012. Follow the link below and look at the fatality rates they’ve stayed very steady regardless of accident rates. Proving you can’t dummy proof life with lessons and taxes.